Put them together, and you have, “A fanciful or fantastic device, object or creation capable of being put to use or be useful.” Seeking out the practically whimsical in my life – and rejoicing when I find it – is one of the things that makes me happy. Because I like things that make me smile. Don’t you? years ago, who used to call himself an “optimistic cynic”…or was it “cynical optimist”? Regardless you get the point. (As an aside, I find it fairly amusing that this former client now works in the Press Secretary’s office for the Canadian Prime Minister.) I love that description too. It seems to embody all the hopes and fears that I walk around with. But that’s probably a post for another day. So in that vein, here are a couple examples of what I mean by “practical whimsy.” If you want one for yourself, you can buy it on Etsy or Artful Home. 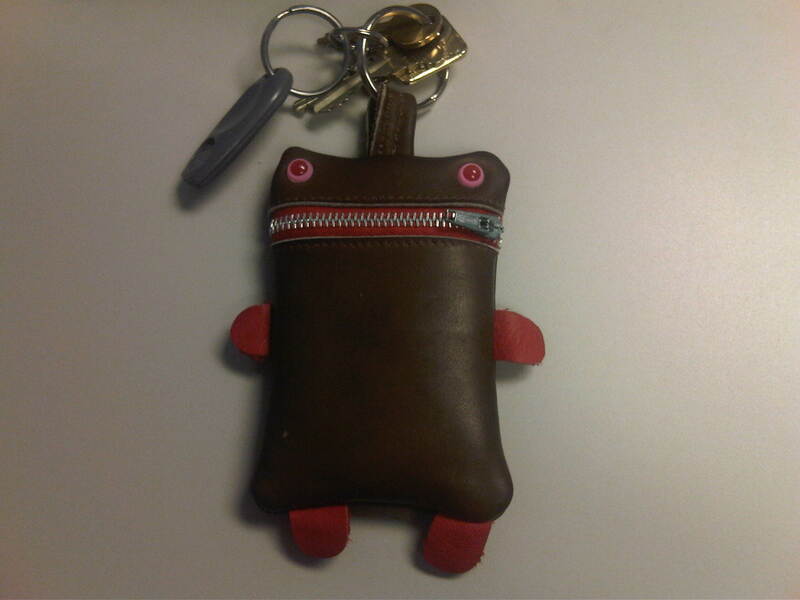 Keychain Recycled Leather Monster Pouch by "Katkaland"
This entry was posted in Practical, Whimsy and tagged Etsy, Fun, Images, Whimsy. Bookmark the permalink.